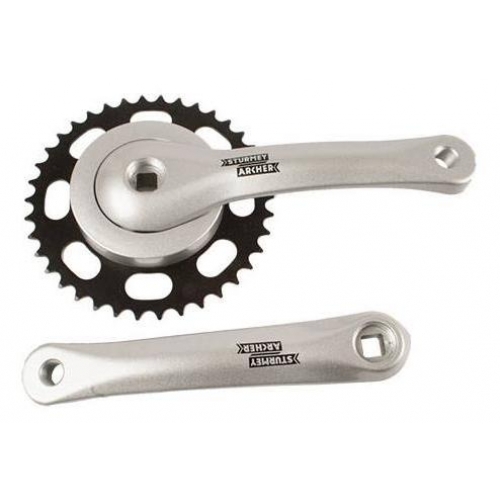 These chainsets from Sturmey Archer and Miranda provide good quality but lower priced alternatives to Shimano's own Nexus chainsets. There are also more options. e.g. 33 teeth and black. Select your required colour and from 33 or 38 teeth. Each has a long lasting steel chainring for 3/32nd inch chains and an aluminium 170 mm crank. The enlarged circular centre part fits the gap at the front of the Excelle, Mirada andSaber chaincases. 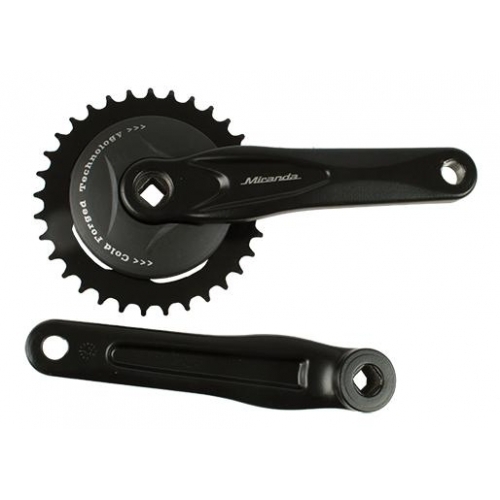 The chainset fits on a standard square bottom bracket such as those from Shimano or Sunrace. 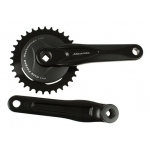 In a hilly area you may want the 33 tooth version of the chainring to reduce the gearing. Otherwise we recommend 38 teeth. Overall gear ratios can also be adjusted by changing the rear sprocket or freewheel.